Having shoes to match your feet and your stride is just as important when running off-road as on. Your stride, whether neutral, over-pronating, or under-pronating, will remain the same, regardless of the terrain. 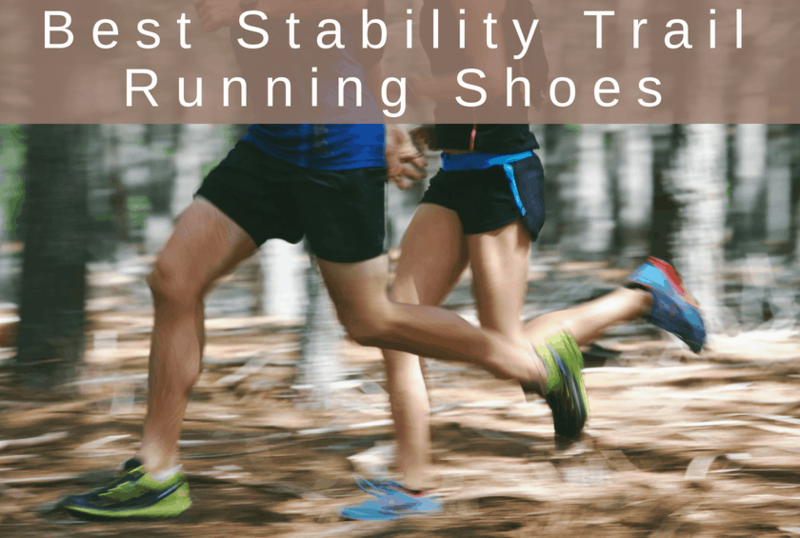 So, if you use stability road shoes to correct for pronation, then you should also consider stability shoes for trails. Between accommodating for low arches and working with varying degrees of pronation, high demands are placed on trail running shoes. Each brand addresses structural technology differently, often developing their own methods for supporting and protecting feet. 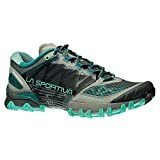 The best stability trail running shoes offer both comfort and functionality, so you can get out and enjoy tackling the terrain with right platform for your feet. 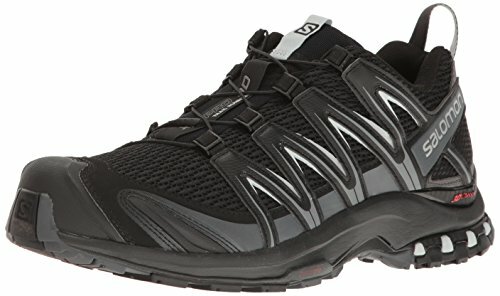 Here are the best shoes for staying fast and responsive while trail running, no matter what stability concerns you might have. 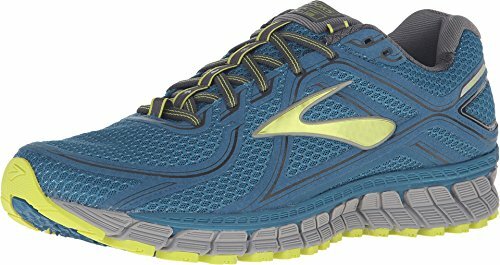 Both comfort and stability features make the Brooks Adrenaline ASR 13 one of the best stability trail running shoes. The cushioning, which adapts to your stride, helps alleviate bumps in the road. At the same time, the Crash Pad smooths heel-to-toe transitions and disperses force. While you can tell how rugged the outsole is by looking at it, reviewers note that the Adrenaline ASR 13 has a stiffness that helps it stand up to daily wear and tear. The 12mm midsole drop also accommodates arches from flat to medium, giving extra support where you need it to keep you on the trail. If you tend to over-pronate, the ASR 13 can help deliver support where you need it. That means less pain and longer runs overall. You’ll feel confident enough to tackle rugged terrain with sturdy arch support and a snug fit, thanks to the asymmetrical saddle and adjustable eyelets. 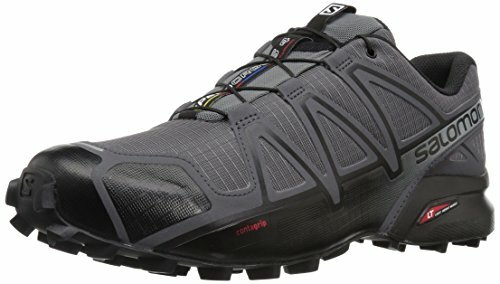 With a profile that looks oddly similar to athletic cleats, Salomon’s Speedcross 4 shoe has a clearly aggressive grip for the trail. 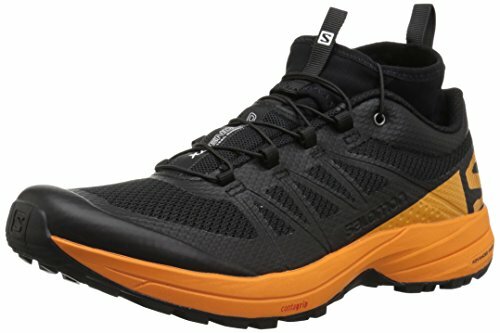 Salomon notes that these shoes are suitable for wet and dirty terrain, muddy conditions, and both training and racing applications. While they are a bit heavy in comparison with lightweight picks, 300 grams is nothing for a shoe that packs stabilizing features, cushioning, and traction all into one package. The outsole is a Premium Wet Traction Contagrip, suiting you up to tackle even the slickest conditions. To fend off mud and debris, there’s anti-debris mesh plus water-resistant textile material. A mud guard around the base of the shoe also helps prevent muck from caking on and slowing you down. A quick lace system avoids on-trail struggles with adjustments, too. For stability, the Speedcross 4 has molded and injected EVA foam for lightweight structured support. The OrthoLite sockliner helps with positioning via an EVA heel cup, critical for keeping your foot stable. Columbia uses its FluidFrame midsole in its Montrail Mountain Masochist III, so your running experience will not be as intense as the name suggests. The midsole offers multi-directional stability to keep your foot in proper alignment, avoiding pain and potential slips. A Gryptonite outsole helps you grab onto the trail, plus TrailShield for even better traction and protection against debris and obstacles. Up top, mesh construction with webbing overlays keeps things breathable while ensuring you have adequate lateral support. An 8mm heel-to-toe drop and a FluidFoam midsole handle overall performance, helping you transition smoothly through the gait cycle. Overall, the Masochist III feels light even after miles on the trail, ensuring you won’t feel fatigued due to fit issues. 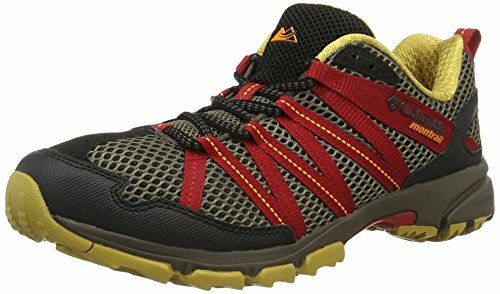 There’s something about the way the LaSportiva Bushido looks that makes it appealing, but its stability “guarantee” is the highlight. The frame extends from the side of the upper to the midsole, ensuring a close fit that feels natural. 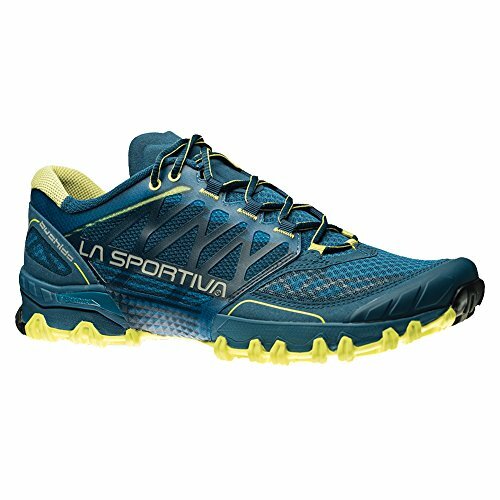 LaSportiva also avoids heavy stabilizing elements by connecting the midsole to the upper, taking advantage of the shoe’s construction to place supportive components. And that flashy look? It serves a purpose- the “sticky” outsole has graded touchpoints and rounded lugs that maintain continuous contact with the ground. You can even attach AT Grip Spikes to the lugs for more traction. At the same time, you’re free to splay your toes naturally, as the toe box is purposefully wide beyond the snug medial section. Also, the interior lining is sweat-free mesh to keep you feeling fresh. The footbed measures 4mm and is an Ortholite Mountain Running Ergonomic model, contributing further to the overall positioning effects of the shoes. Salomon’s XA Pro 3D offers the highest stability, durability, and protection the brand achieves. In exchange, wearers must adjust to a 380-gram weight. However, the advanced chassis performs well enough to warrant the extra volume. The 3D Advanced Chassis is a low-profile element that lies between the outsole and midsole. This piece aims to maximize motion control and make your run more responsive. An EnergyCell and EVA midsole aids in keeping you comfortable, plus the sockliner fits the shape of your foot and creates more cushioning. The upper material is breathable and quick-drying mesh, helpful since the shoe advertises its compatibility with mostly wet terrain and mixed weather conditions. And apart from the rigid stability features, there’s also the Sensifit system, which keeps your feet snug and custom-fitted. Accessible and friction-free laces aid in on-the-go adjustments, which you can perform with one hand. 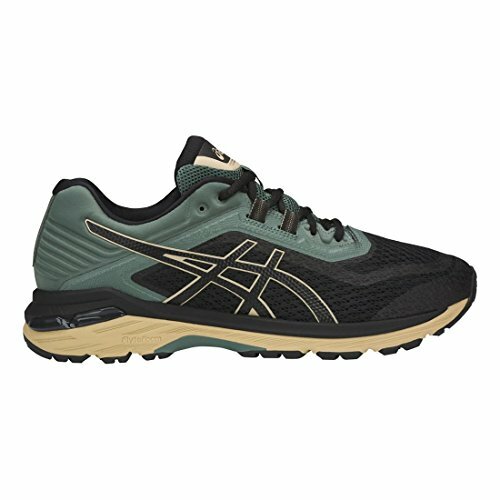 Helpful for runners with neutral to over-pronation, the ASICS GT-2000 6 Trail keeps you stable on any surface. From low to normal arches, the DuoMax support system and gel cushioning absorb shock and allow your foot to move naturally. ASICS’ Guidance systems also focus on increasing your gait efficiency, potentially resulting in quicker trail run times. At the same time, the technology gives positioning support to avoid injury and prevent pain. Exceptional responsiveness comes from high-density “super fiber” foam, a Fluidride Midsole, and DuoMax Support System. The outsole also uses high abrasion rubber that’s an ASICS trademark, helping increase the durability of your GT-2000 6 shoes. And at just over 11 ounces, ASICS’ stability trail running shoes hold rank with other comparable support offerings. Of course, they do have extensive experience, as this GT-2000 is the sixth incarnation. A dual-density midsole sets you up with both superior cushioning and stability with Salomon’s XA Enduro, while EnergyCell+ compound aids in energy return. Both inside and out, the XA Enduro balances supportive functions with comfort features, so you won’t feel every lump on the trail. There’s also the Contagrip wet traction feature to appreciate, which helps you maintain grip regardless of how wet conditions are. Reviewers note that the slicker the conditions, the tackier the outsoles of the XA Enduro becomes. For stability and protection from debris and other trail hazards, the XA Enduro features a protective stretch gaiter over the top of the breathable mesh. However, reviewers note that using the gaiters makes it tough to put on and take off the Enduros. To streamline things further, they also use Quicklace tech to keep adjustments simple. One-pull tightening helps you avoid touching the muck that you’re sure to get into with the XA Enduro.